I recently received an e-mail from a reader who is frustrated by their lack of progress when it comes to retirement savings. In short, they thought it unlikely that they’d ever be able save more than a million dollars, if that. Would they still be able to retire? The short answer is that yes, as long as you’re careful with your money, you should be able to retire on a million dollars, or even less. What follows are some things to consider when evaluating how much you’ll need to retire. 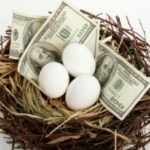 If you take the 4% safe withdrawal rate as a rule of thumb, your $1M nest egg will generate an inflation-adjusted $40k in annual income. Of course, the reliability of that 4% rule depends on a lot of things, such as time horizon, the composition and expected performance of your investment portfolio, whether or not you retire into a collapsing stock market, etc. If you’re not comfortable with that number, feel free to use your own. The point here is that $1M can generate a considerable amount of investment income. It’s commonly said that your expenses will go down in retirement. For example, if you own a house, you’ll hopefully have paid it off before you reach retirement age, so that’s typically a major savings over having a monthly mortgage payment. Similarly, you’ll no longer have a number of work related expenses, such as dressing for and commuting to work. Another work-related “expense” that will go away is that you’ll no longer be saving for retirement. Also, unless you retire very young, you most likely won’t have child-rearing expenses when you retire. Of course, there are some areas in which your expenses might increase (e..g., travel, healthcare, etc.) so be sure to factor those things in when running the numbers. This is a potentially big one. While some retirees have health insurance through their former employer, many don’t. In the future, I’d bet even fewer retirees will have access to such benefits. Of course, the healthcare landscape is changing in this country, so your needs in this area might also change. Despite these unknowns, I think it’s safe to say that the high cost of health insurance will be especially problematic for young retirees, as they’ll have a long ways to go before they’re eligible for Medicare. Another important factor is taxes. The structure of your investment portfolio will play an important role in determining your income in retirement. If you’ve saved primarily in Roth accounts, your money will come out free of income taxes. That’s huge. If, on the other hand, you’ve saved in a traditional 401(k) or IRA, you’ll owe income taxes on your distributions. The good news here is that you’ll likely be in a lower tax bracket at retirement. The bad news is that even the lower tax brackets might have tax rates in the future. While the 4% safe withdrawal rate gives you an “inflation-adjusted” 4% of your initial portfolio value in income per year, this doesn’t account for the fact that $1M at retirement age will be worth much less than it is today. In other words, if I gave you had $1M in your pocket today, you’d be in a much better position than if you had $1M in your pocket 30 years from now. This is simply due to the devaluing effects of inflation. Of course, another important consideration is whether or not you’ll have any alternate sources of income. For example, my parents retired with a much smaller nest egg because most of my dad’s retirement savings throughout his career went into a generous pension plan that now covers their living expenses. In fact, in most years, they take the required minimum distribution (RMD) from their other IRAs simply because they have to. They then invest that money elsewhere because they don’t need need it on a daily basis. How much money you’ll need in retirement is a complex topic. I’ve given you some issues to think about above, but I’ve undoubtedly missed some things. Do you have anything to add? Help. My family was in a car wreck and my wife passed away. She left me and 2 children. She was only 27 years old. I only survived by a blessing. The kids are ok. The guy that crashed us died and thank god he had a 1.5 million dollar insurance policy that paid off. After everything I am left with 1.2 million with the kids each getting 100k in an account that they can have at age 18. I can not work as efficiently as I could before and I want to be here for the kids. I am 40 and do not trust our economy. But I need to live off this money. I will pay the house off. This will leave 1,050,000. I want to spend 50,000. I will have 1m to live off of. What should I do. I know nothing about the stock market. I have talked to an FA from Edward jones. And my banker. I just want to make sure I am doing the safest thing I can do. I will need 2-3 thousand a month. Please help. Thank you. If you’re only 46 you should get some killer life insurance, if you don’t have it. That way you will have something to leave your family. Try eating healthy and drinking alkaline water. Sit down with a nutritionist to see why many of your family is dying off so early. People in my family live forever! They go on and on and on. But we have always had good dietary habits. No red meat or milk. I eat organic yogurt. I love shopping at the health food store. We eat healthy organic veggies. Do you eat like that? You should live a long life. You deserve it. I’m in the same boat as you Clayton. I’m packing it up this spring and going in the bread baking business. Built a brick oven last year and will sit back enjoy my family and bake bread on Tuesday’s and Thursday’s. Just enough to pay for a few beers and occupy my time. It’s a tough decision but I keep telling myself I’m in the top 1%. If I get bored I’ll find another job. Still scary though. just find some less intense but creative thing which u enjoy most and that should give you thrill-so that u get up morning to do that again and gain. I am 46, and have my house paid off, kids college funds set aside, no debt and a million three in investments along with 3/4 million in retirement accounts. Excluding social security, which may not be around when I hit retirement age, I am wondering if I can just retire now, relax and enjoy life. Then men in my family do not have long life spans, and I am worn out…….just want to enjoy time with my kids, family and friends before I kick the bucket. It has never been about how much income, but rather how much you spend- ( the Latte Factor ). That said, to all those just starting out. Save at least 25% of your income the first ten years reduce this by 5% over each remaining 5 year period if needed. Balance these saving by first creating an emergency fund in cash safe investments MM funds CD’s ect. ,that will give you at least 6-12 month living expenses. The next goal should be at least the minimum in any company 401k, 403b. ect. and then Roth IRA’s. All should be no load balanced funds both domestic and international. Do your do diligence when investing and you will have an excellent chance of a financially safe retirement. I did this on a meager wage and have over a million in liquid assets, and this was achieved over the last 30 years with some big ups and downs in the markets. Remember this is basic dollar cost averaging and you younger people just starting out my not be able to rely on any social security, and most likely no pensions. Remember pay yourself first and save, you’ll be surprised how it will accumulate, and if you don’t have it in your pocket you won’t miss it. This is a great discussion and responses are well thought out. I am fortunate in that I am able live in Mexico and draw a US salary but I am planning my exit with the corporate world. I won’t do it until I have enough saved to retire ( I’m 46) and the operative question is how much? I thought at one time I would need 2 million but no longer. If you need that or more, I would suggest looking at your expenses and cutting them. Well, this is an interesting question and I have been pondering this too. 1 million isn’t a lot of money considering the volatility and the nature of present equity/bond markets. However, fundementally what you would need is actually about 3 million dollars to comfortably retire, have passive income generation and be still capable of doing debt-financed investing. In principle you do this on 1 million dollars but as it was addressed earlier on in the comments not many people can live on 40k a year unless you have a drastic reduction in quality/style in life. So, how would you actually make 1 million become 2 million in the shortest way. There is no simple way. I looked at equity but basically the markets get trashed everytime there is a new “great depression”. you lose your base value by 30-50% or more so even if your portfolio is earning 8% p.a. you could end up earning 8% p.a. on 50% of your principal value which is not really ideal. Bond markets – basically with the soverign debt going totally out of whack, you are probably going to see a full-on blood bath. None of the “developed economies” monatary policy makes sense. I remember that I was taught that creation of credit are fundementally wrong if not managed carefully. What is happening in the EU right now is a Debt bubble which is actually in turn creating more credit into the net system (even if its not printing money). The US is bankrupt but no other nation has any idea what to do and are too scared to see the consequences of letting the US collapse, consequently everyone feeds the debt. Absolutely crazy, and once the Euro goes down which is a matter of time… the US dollar will go down and that would mean recession part 2. So do you really want to invest now? Well, if equity and bonds are out of the question so where do i park my money so that i can get a reasonable yield without too much adverse risk. I looked at it over and over again and each time it leads back to property. Yes, property too has it risks but fundementally you will always need a house to stay in. The key is not to follow the herd. Just invest with in your means to get 8% roi and if you can leverage it against a mortagage the better it is but NEVER mortagage more than 75% of the rental property. Reason being… if the market really crashs the at least you have 25% buffer before the bank forecloses on you. But normally the bank will not foreclose on a person who pays the bills as they dont want to take a property as the responsibility of earnings fall on them. So the key is dont follow the herd! Then leverage max 75%. Then when you have the opportunity to sell at 10-20% total value = SELL!! Then your base value will always increase. keep doing this till you have enough houses fully paid off but you always have to have some leveraged risk so that you are not going to just throw your money away. 1. Never over-leverage! Never! If you dont have the initial money dont invest in property (i.e 30% of total value). You need the cash to weather a storm so 10% will always be liquid. Most people fail in property due to over-leverage. 2. Never listen to Realestate brokers. They make a living out of selling you property, they are not your friends. Unless, you are related by blood or you have some really sensetive pictures of him/her… keep your guard up. well, thats my 2-cents worth of opinion. A million dollars will be worth how much down the road? It reminds me of a former pro baseball player who said his wife made him a millionaire. When he married the young lady he had three million and a couple years later he had one million. 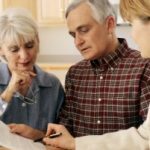 Although I agree with much of your article, the reality is that the vast majority have less than $250,000 at retirement (approximately 3 to 5% of Americans are millionaires). Surprisingly, many surveys reveal a high level of happiness among our seniors. I doubt very seriously 25 years from now your will see a significant increase in the number of millionaires (making minimal adjustments for inflation). I’m seriously questioning whether I’ll ever be able to retire in the sense that people think of retirement: one long vacation, with trips seeing the world, etc. Do any of you honestly know any ‘working joe’ who has successfully retired? Health insurance really is the kicker – my folks retired on something more than a million – and then the stock market crashed and the amount they could pull from their investments went down to zero, basically. But they had planned to live on their income (pension & covered health care) anyway, so they’re OK.
My in-laws, on the other hand, are facing possible forced early retirement with no health insurance and a significant gap before medicare kicks in…they may end up blowing through their savings before they hit “retirement” age, if they’re unlucky – if the company goes under, if they can’t find new jobs, if they get hit with cancer or serious heart disease, they’re going to be living in our spare room in their old age. nickle, you covered it well. You only touch on the big question of when does the retirement begins. 1M today vs 30 years from now are two different things. Assuming we are not moving to a third would country there is no way 1M is going to cover 25-30 years of retirement if you start 30 years from now. Not long ago I saw a statistic that suggested a retiree will spend, out of pocket, over $600 for medical in their retirement (30yrs). To bad we can’t be Craig and do it all over again with what we know now! Great post! 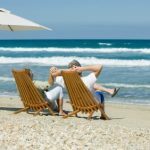 I’ve often wondered if… 1 million was enough to retire on, if I could ever get to 1 million by retirement, and what I really needed to earn to support myself and my potential husband in retirement. He’s 27 and hasn’t saved a dime in a retirement account, and I’ve only contributed to the max Roth IRA each year… just $14k in my retirement account as of today. 1 million seems so very far away and almost impossible, and it’s really scary that 1 million won’t really be enough to retire on. I’m very worried about it. THanks for this post. Being that I’m only 25, I have a different mindset but if I were nearing retirement I would be worried too about having enough to last. Half a million dollars is enough (at any age) if you’re willing to have a more frugal lifestyle. Best would be to move to a nice non-first-world country – better bang for the buck, and usually healthcare will be cheap, even if you fully pay it out-of-pocket (U.S. has unbeatable huge prices for healthcare, thanks to our politicians). This is a good article that gives you a lot to think about. Anybody CAN retire if they have a million dollars. But, the better question to ask is “Are you WILLING to retire on a million dollars?” As you point out, the safe withdrawal rate is only $40k. Are you willing to live off that amount? When you are in your forties, you could well be at or near the million dollar mark. You could take an early retirement with that amount. But I have learned that when you start to approach one goal, it is human nature to start setting up a higher goal for yourself rather than rest on your laurels. Being younger and just getting started with my retirement contributions it is difficult to see how I could possibly save up for that much. It’s so far down the road and have no idea how taxes and expenses will grow over time. Yes, I absolutely agree. The question isn’t really can you retire on $X, but would you be willing to retire on $X given the accompanying lifestyle. Are you able to retire with a $1 million is a great question. This is a question many of us have. You answered the basics but it really will depend on the type of lifestyle you want to live in retirement. The key is not amount of money you have its the cashflow that you will have in retirement. You want enough cashflow to cover your expenses. This cashflow can be come from various sources such as saving, pension, or real estate holdings. Nice post.